Being the leader of a political party is a tough gig. The scrutiny is relentless, the work is exhausting and you get absolutely no thanks from anyone, only criticism. Every few years you have to face a challenge that could see you thrown out of the post. Being the leader of Plaid Cymru is much tougher still because of the sheer number of barriers to success. In Adam Price, Plaid Cymru has one of the most talented politicians of his generation. But he has a monumental challenge ahead of him if he is to reach his goal of forming a Plaid Cymru government. The first step toward knocking down these barriers is to identify them. So here are the ten biggest challenges facing Adam Price. Much of the debate during the leadership election was about the different policies offered by the three candidates. But the harsh truth is that Plaid Cymru could offer every voter in Wales £1000 each and still wouldn’t win an election, because the voters seldom hear what they have to say. After 20 years of devolution, there is a fundamental lack of knowledge in Wales about devolution. Half of voters don’t know the very basics, such as that health is devolved. This is because London’s media dominate and Welsh media are extremely weak, and what media we do have pay little attention to Welsh politics. And so while voters hear almost daily about the battles between the Conservatives and Labour in Westminster, Plaid Cymru don’t get a look in. Adam Price will have to find a way to break through to voters, either by strengthening what little media we do have, a masterful use of social media, or making himself heard in the London media. The vast majority of people in Wales get their news from the British media. They largely ignore Plaid Cymru because they do not see the party as a credible threat to the Conservatives or Labour. However, as the SNP have shown, when Plaid Cymru do taste some success the British media are likely to come after them, hard. As a former member of the House of Commons Culture, Media and Sports Committee, Adam Price knows this very well. Adam Price will know that if he tastes success as Plaid Cymru leader he will be attacked politically and personally in the press, and he has to get the party ready for an onslaught. Labour has long tormented Plaid Cymru by repeatedly suggesting that the party will jump into bed with the Conservative party if it forms a minority government. I’m not sure this is quite the big issue for Welsh voters that Labour seems to think it is. After all, the Tories were at 41% at one point in 2017’s General Election campaign, suggesting that Welsh voters aren’t as allergic to them as many would claim. However, Plaid Cymru has tied itself in knots over this issue in the past. Either Adam Price should rule out an agreement now or just say that working with the Tories is no big deal. One way or the other, he should shoot this fox now and move on. It would make more sense to do the former since arguing that Wales should be shot of Westminster to escape the Tories, while teaming up with them at the Assembly, makes no strategic sense. National identity in Wales is weak, especially compared with Scotland, but even compared with England. This is partly due to high levels of in-migration, but also the lack of a national media, poor transport infrastructure between north and south, and weak civic institutions. Welsh national identity has always been like a flame caught in the wind – just about still there but always flickering and never burning particularly brightly. For a Welsh nationalist party this is somewhat of a problem. If people don’t feel a strong attachment to Wales as a country how do you make the argument that it needs to emancipate itself? If Adam Price wants to form a government he will have to be able to articulate a Welsh national identity that everyone can feel a part of. The Welsh language is both a boon and a hindrance to Plaid Cymru. Cultural nationalism sustains Plaid Cymru in its electoral fortresses in west Wales, but its close association with the language can be a barrier to breaking through elsewhere. Labour has long found great success in the suggestion that Plaid Cymru is a language for Welsh speakers only, that do not value not Welsh language forms of Welsh identity. This suggestion has poisoned Plaid Cymru’s electoral prospects in the valleys, where the people feel strongly Welsh but do generally not have any great affinity for the language. 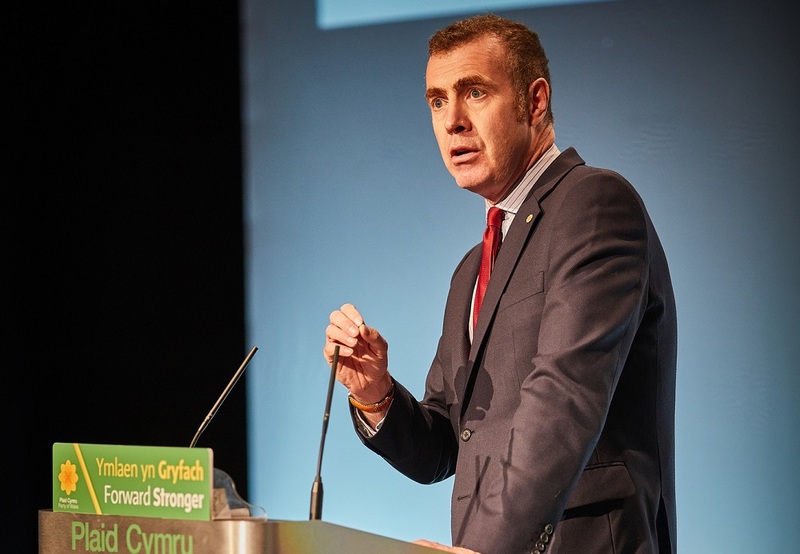 Adam Price will have to be able to show that Plaid Cymru is the party for them without suggesting to followers in west Wales that he is throwing the language under a bus. Plaid Cymru is often unfairly characterised as a middle-class party. That isn’t true, as their core constituencies in the west of Wales are some of the poorest in the UK. However, they remain very much what Chris Arnade calls a ‘front row’ party: Progressive on issues of race and gender, international in Outlook, pro-EU, and put a great emphasis on intellectual argument. Much of Wales is, however, what Chris Arnade would call a ‘back row’ country (David Goodhart calls them ‘citizens of somewhere’). He defines them as people who have lived in one community all their lives, have not had the opportunity to go to university, voted Brexit, have a strong belief that hard work gives their lives meaning, and have quite socially conservative views on race and gender. Voters that they would call ‘back row/citizens of somewhere’ exist across Wales. But beyond Welsh language communities, where ‘front row’ and ‘back row’ alike are united in their desire to preserve their own culture, Welsh nationalism has largely failed to articulate a message that appeals to them. Adam Price won’t compromise on the party’s progressive attitudes, which more socially conservative voters have less interest in, so he will need to appeal to them in other ways. He will need to build arguments based on bread and butter issues: Specifically, how Westminster is making large parts of Wales poorer and how greater autonomy or independence will create good quality jobs in their own communities. With its win in the Rhondda and its almost-win in Blaenau Gwent, Plaid Cymru showed that no seat was out of bounds as long as it could mobilise a big enough army to knock on doors. However, Plaid Cymru’s membership has flat-lined for many years at about 8,000 or so. I’ve spoken to many former members who have cancelled their direct debits, simply because the party hasn’t done anything to inspire them. Adam Price needs to make people feel as if they’re a valued part of a project, inspire them to get outside and start knocking on doors. This is what the SNP has done so successfully in Scotland, and Jeremy Corbyn wouldn’t be anywhere without his Momentum army. Adam Price should also play down his own capabilities as the leader – he isn’t the ‘Mab Darogan’. He can’t do anything alone. He will need to inspire others to do a lot of the work for him. If people want to see a Plaid Cymru government, he should say, they will have to pull their fingers out. Political parties have come on leaps and bounds over the last decade or so in terms of their ability to effectively target supporters and get them out to vote. Plaid Cymru’s ability to do this in many parts of Wales is at the moment rather patchy, depending on canvassers knocking doors and noting whether they think the person within is likely to support their cause. Adam Price has put together a detailed plan for developing Plaid Cymru’s expertise in this area. The problem is that it costs an awful lot of money to do, which is in short supply. One option would be to depend on the generosity of their sister party the SNP to share some of their election-winning know-how with Plaid Cymru. It became clear during the leadership election that Leanne Wood had lost the dressing room – only two Assembly Members eventually backed her and not one of the party’s MPs. The party centrally fell out with branches in Llanelli, Blaenau Gwent and Cardiff West and two Assembly Members, Dafydd Elis-Thomas and Neil McEvoy, were lost. Plaid Cymru isn’t a huge party with deep ideological fissures so it should be relatively straightforward to ensure that everyone singing from the same hymn sheet once more. The question of what to do with Neil McEvoy will be a vexing one for Adam Price, however. Whatever he decides to do he will anger elements within the membership. His statement that Labour and the Conservatives are as bad as each other is unlikely to win Dafydd Elis-Thomas back to the Plaid Cymru benches, so he may have to consider who would be best to stand against him in Dwyfor Meirionnydd. Message discipline hasn’t been Plaid Cymru’s forte over the years. I’ve been covering Welsh politics since 2006 and the impression given was often of different politicians indulging their own interests. Most notably, the party has failed to really emphasise its own USP as a nationalist party – that Wales would be better off with more autonomy from or independent of Westminster. Because of their low media profile, Plaid Cymru can’t fight a hundred different battles at once. They do however have one core message that does this. Essentially, it is: ‘Wales is being neglected and treated unfairly by Westminster (Tory and Labour) – only a vote for Plaid Cymru can change that’. It is an anti-establishment message that resonates. It also has the advantage of being true, and there is a daily stream of evidence to show that it is true. All other messages – including anti-colonial messages about racism and gender – can be articulated via this one core message. Ultimately, if Plaid Cymru is to succeed, it must become a much more streamlined, disciplined operation. If it can do that – and Adam Price is the man to do it – none of these challenges are insurmountable.